As the holiday season is nearly here and 2016 is coming to an end, we find ourselves looking back on the past 12 months and those who have helped shape our business. It’s been quite a year for us, and we hope that it was equally successful for you! For that reason, we’d like to THANK YOU for being with us. 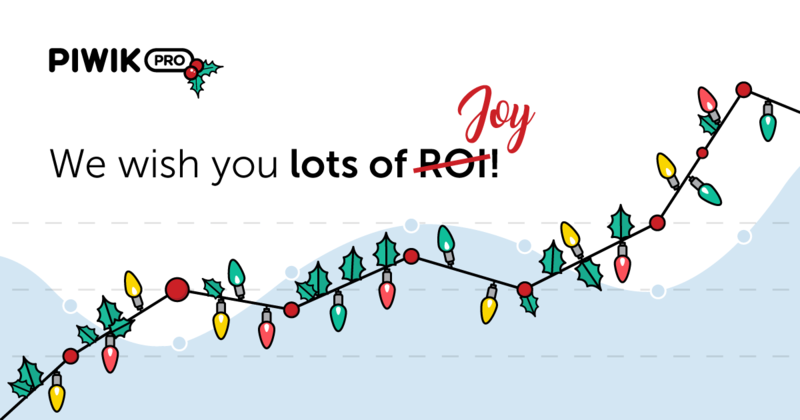 And at the same time we wish you a happy holiday season, spent with family & friends… and not with Piwik PRO reports and stats ;-). Use this time to rest and gather strength for another adventurous year! We can assure you that all your data will be safe and sound, and right where you left it. As always.